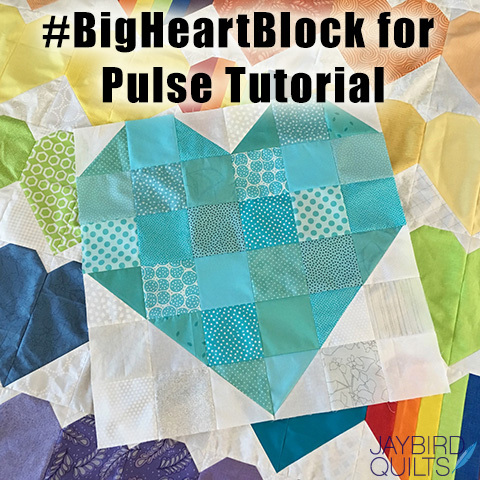 This is a free heart block tutorial inspired by the Orlando Modern Quilt Guild donation effort. 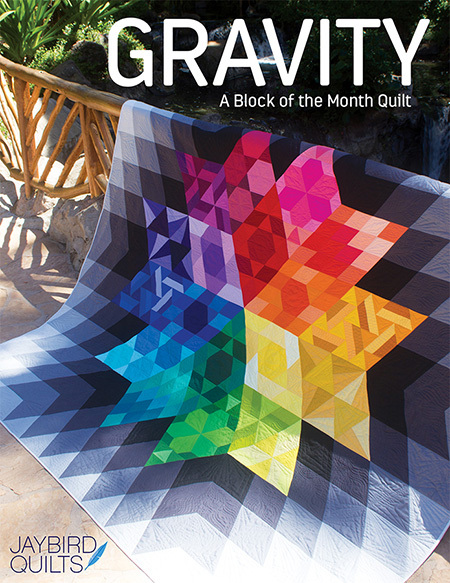 As soon as the Orlando Modern Quilt Guild announced their donation effort to provide survivors, victims families and first responders with quilts following the tragedy at Pulse nightclub, I knew that this was exactly how I wanted to help. 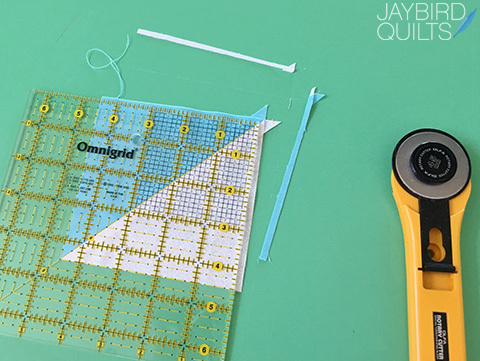 Sewing is my happy place, and I wanted to share that with people healing from such a horrible event. The guild has posted additional donation details here. 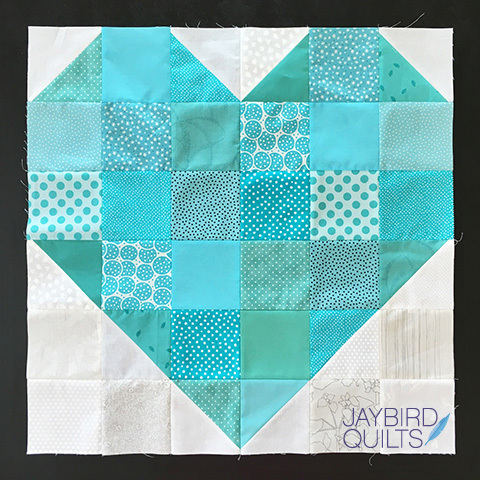 ---- I made a heart quilt top (10" finished heart blocks, 5 columns x 6 rows) and sent it off to Teresa Silva of Quilting is My Bliss for quilting. 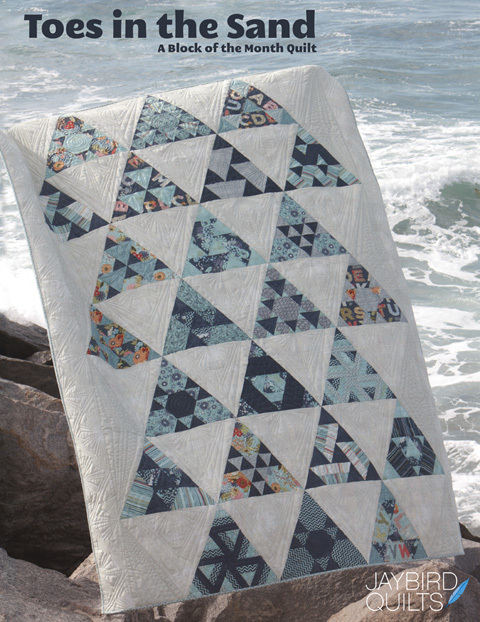 And then I invited friends & members of the San Diego Modern Quilt Guild over for an afternoon of charity sewing where we made 3 more quilt tops. 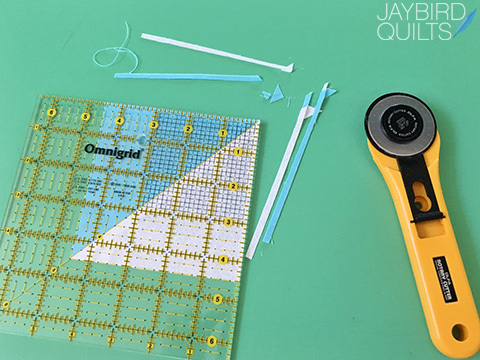 And then we had all of these extra scraps to work with. 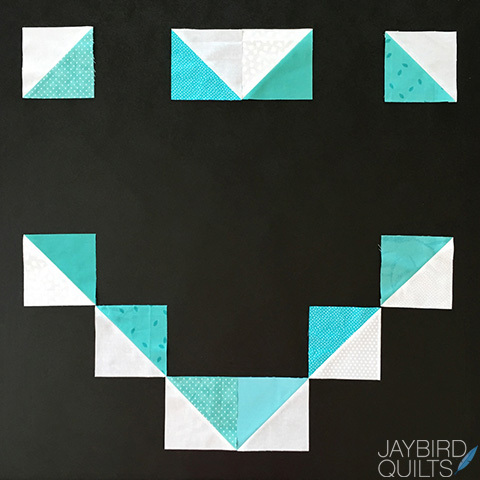 When you create a 10" heart block following the tutorial on Cluck Cluck Sew you have large triangles leftover. 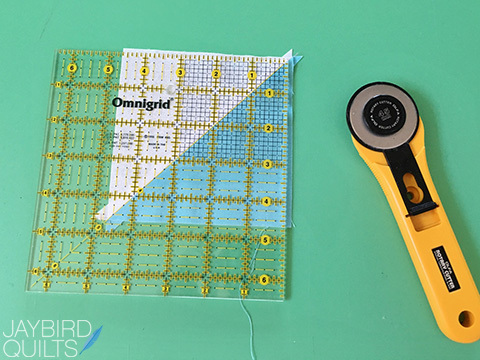 These can be sewn into Half Square Triangle (HST) units. 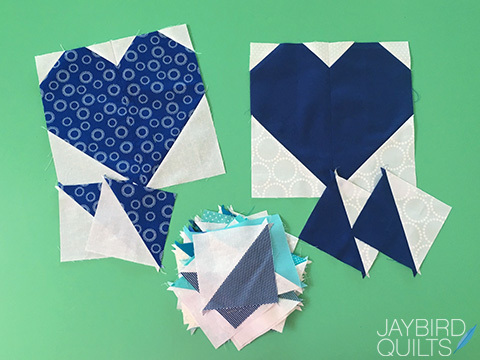 You can then use the HST units to create a large 24" heart block. I decided to go monochromatic for my large hearts. I had enough blues to separate them into piles of light and dark. 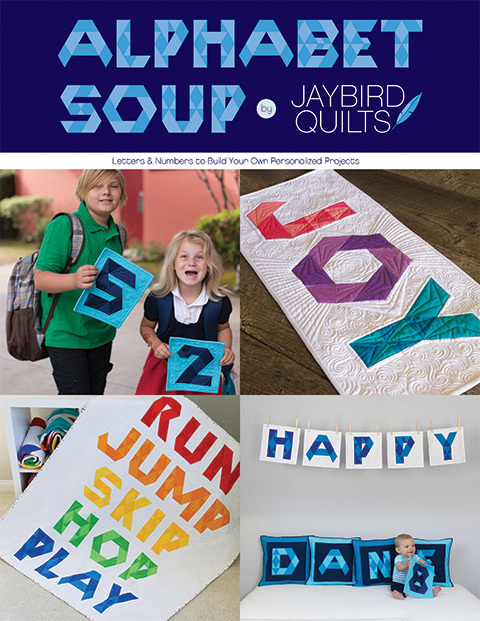 The photos below show me creating the light blue heart. 1. Trim HST units to 4 1/2" square. 2. You'll need 10 HST units to make each big heart. Arrange as shown on a table. 3. 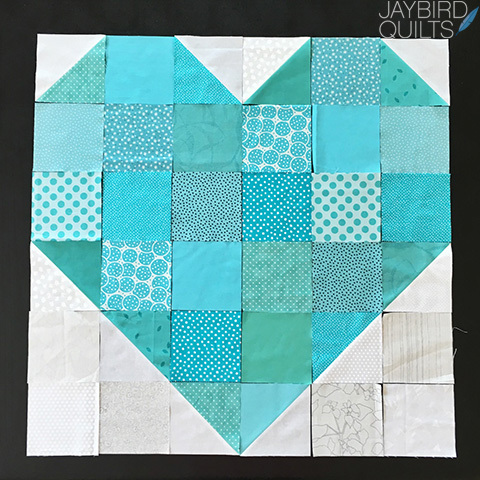 Next you'll need to cut 20 squares at 4 1/2" to complete the inside of the big heart. 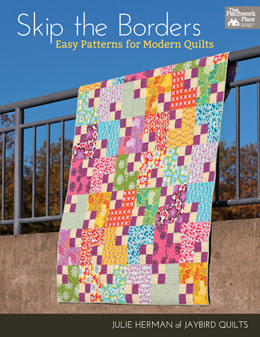 This is a great way to use up scraps or leftover charm squares. 4. 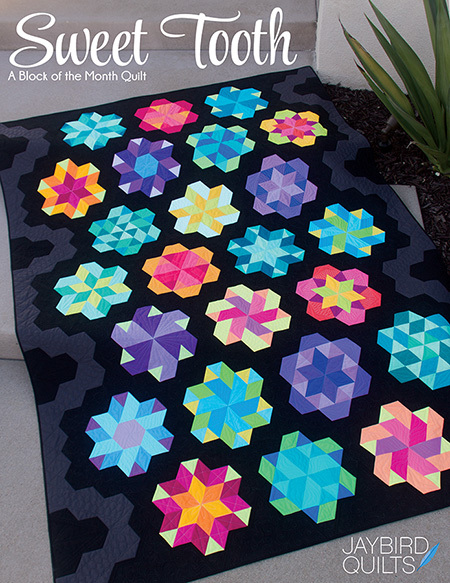 Then you'll need to cut 6 background squares at 4 1/2" to complete the block. 5. 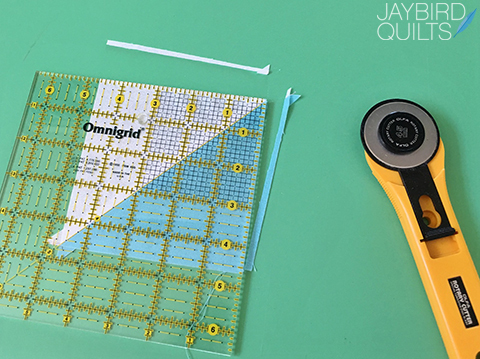 Sew the squares together into rows and press the seams open to minimize bulk. 6. 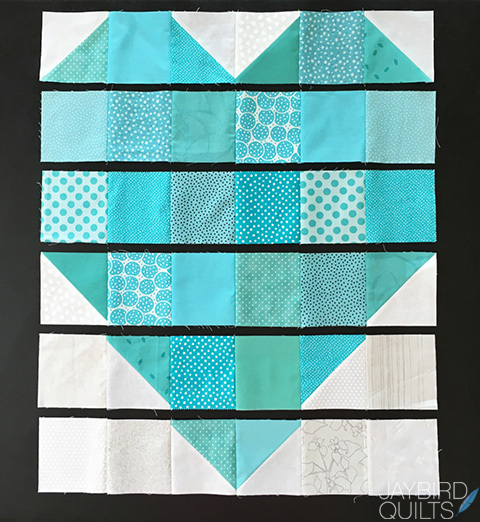 Sew the rows together and press the seams open to complete the big heart block. It should measure 24 1/2" square at this point. 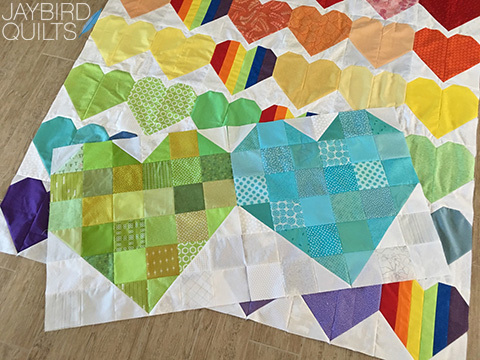 Here are the 2 big heart blocks I've made so far with one of the quilt tops of 10" hearts to show you the scale. 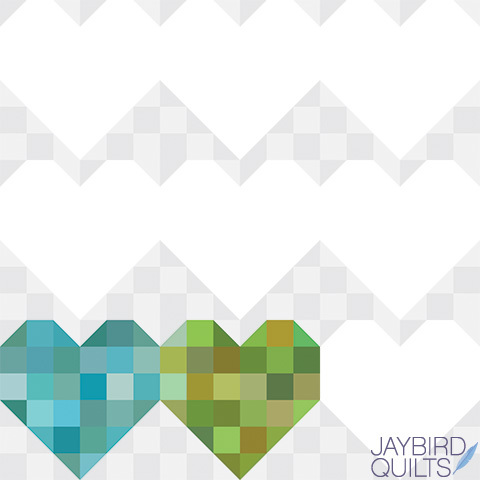 I'm planning to make 9 big heart blocks & sew them together to make a 72" x 72" quilt top. 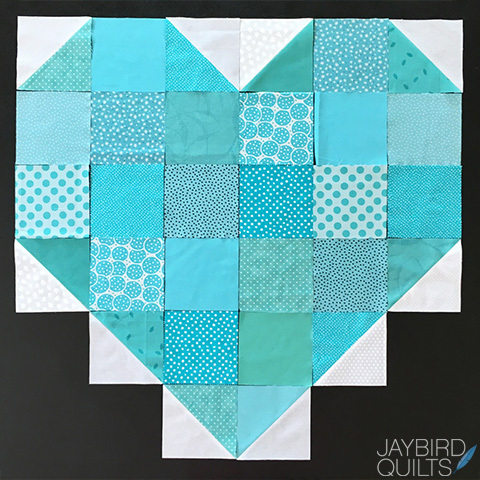 Share your big heart blocks with us on social media using the hashtag #BigHeartBlock so we can be a part of your sewing experience. I was just going to do a chevron type thing with the leftovers but I like your idea better. Thanks for the tutorial. I did make the triangles so they will go off too! The big block heart is so cute. Your color choices are so pleasing! Thank you for the tutorial using the leftovers! 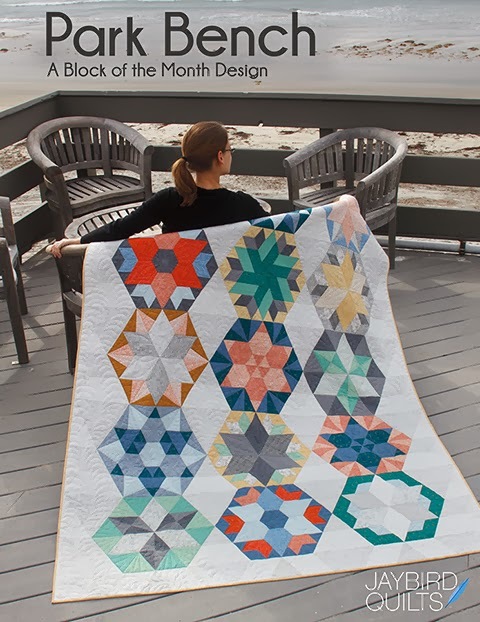 What a great block tutorial!